Bearing data – general. . . . . . . . . . . . . Boundary dimensions . . . . . . . . . . . . . . Tolerances . . . . . . . . . . . . . . . . . . . . . . . Bearing preload. . . . . . . . . . . . . . . . . . . Bearing axial stiffness . . . . . . . . . . . . . . Fitting and clamping bearing rings . . . . Load carrying capacity of bearing sets. . Equivalent bearing loads . . . . . . . . . . . . Attainable speeds. . . . . . . . . . . . . . . . . . Cage. . . . . . . . . . . . . . . . . . . . . . . . . . . . Seals . . . . . . . . . . . . . . . . . . . . . . . . . . . Materials . . . . . . . . . . . . . . . . . . . . . . . . Heat treatment. . . . . . . . . . . . . . . . . . . . Marking of bearings and bearing sets. . . Packaging. . . . . . . . . . . . . . . . . . . . . . . . Designation system . . . . . . . . . . . . . . . . The assortment . . . . . . . . . . . . . . . . . . High-speed, E design bearings. . . . . . . . 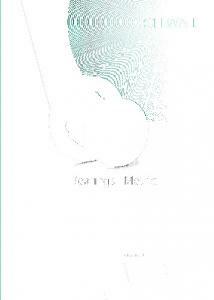 Bearing series . . . . . . . . . . . . . . . . . . . . Bearing variants. . . . . . . . . . . . . . . . . . . Single bearings and matched bearing sets. . . . . . . . . . . . . . . . . . . . . .
B Recommendations Bearing arrangement design. . . . . . . . Single bearings . . . . . . . . . . . . . . . . . . . Bearing sets . . . . . . . . . . . . . . . . . . . . . Type of arrangement . . . . . . . . . . . . . . . 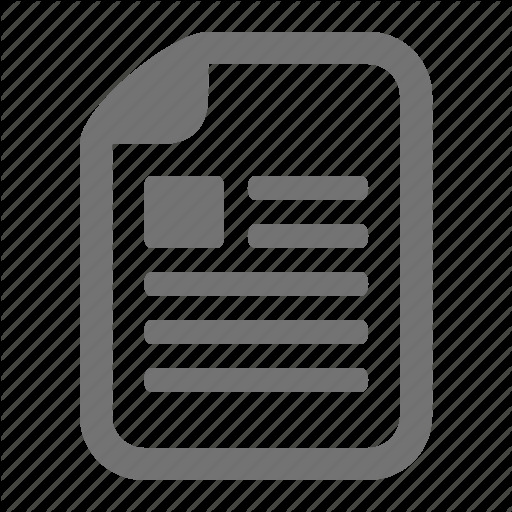 Application examples. . . . . . . . . . . . . . .
SKF super-precision angular contact ball bearings in the 719 .. E (VEB) and 70 .. E (VEX) series Machine tools and other precision applications require superior bearing performance. Extended speed capability, a high degree of running accuracy, high system rigidity, low heat generation, as well as low noise and vibration levels are just some of the performance challenges. To meet the ever-increasing performance requirements of high-speed precision applications, SKF has developed super-precision bearings in the 719 .. E (VEB) 1) and 70 .. E (VEX) series. Compared to high-speed B design bearings, high-speed E design bearings have a higher speed capability and they can accommodate heavier loads. This desirable combination makes bearings in the 719 .. E (VEB) and 70 .. E (VEX) series an excellent choice for demanding applications. The bearings are characterized by: • very high speed capability • high degree of stiffness • relatively high load carrying capacity • extended bearing service life • low heat generation • compact cross section Bearings in the 719 .. E (VEB) and 70 .. E (VEX) series provide high reliability and superior accuracy for applications such as high-speed machining centres, milling machines, internal grinding machines, and woodworking machines. The assortment The new, super-precision bearings in the 719 .. E (VEB) and 70 .. E (VEX) series are available in an extended range as follows: • Open bearings in the 719 .. E (VEB) series accommodate shaft diameters ranging from 8 to 120 mm; sealed bearings from 20 to 120 mm. • Open bearings in the 70 .. E (VEX) series accommodate shaft diameters ranging from 6 to 120 mm; sealed bearings from 10 to 120 mm. Bearings in both series are manufactured to two tolerance classes and are available with three contact angles, two ball materials and two ring materials. Those suitable for universal matching or mounting in sets are produced to various preload classes, to meet almost all application requirements in terms of speed and rigidity. Matched bearing sets with a special preload can be supplied on request. Bearing variants for direct oil lubrication are available. Bearings in the 719 .. E (VEB) and 70 .. E (VEX) series, like all angular contact ball bearings, are nearly always adjusted against a second bearing to balance the counterforces. To accommodate heavier loads and axial loads in both directions, the bearings are used in sets consisting typically of up to four bearings. 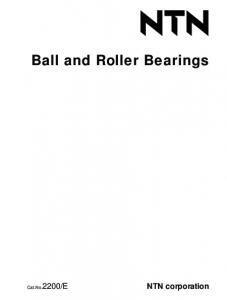 High-speed, E design bearings Super-precision single row angular contact ball bearings in the 719 .. E (VEB) and 70 .. E (VEX) series are designed for very high operational speeds. • asymmetrical inner and outer rings • a high number of relatively large balls • an optimized lightweight cage with optimized guiding clearance • an optimized chamfer design • an open osculation The asymmetrical bearing rings enable the bearings to accommodate radial loads and axial loads in one direction. The bearings have a high number of relatively large balls for increased load carrying capacity. The bearings have an outer ring shoulder-­ guided cage made of fabric reinforced phenolic resin, designed to enable good lubricant supply to the ball/raceway contact areas. The guiding clearance between the cage and the outer ring is optimized for improved behaviour at high speeds. Depending on the series and size, the shape of some of the chamfers on the inner and outer rings is optimized for improved mounting accuracy. As a result, mounting is not only facilitated, but there is also less risk of damage to associated components. The open osculation of E design bearings enables very high speed capability. Open bearings in the 70 .. E (VEX) series with a bore diameter d ≥ 10 mm typically have seal grooves in the outer rings. E design bearings accommodate very high speeds and relatively high loads. High-speed E design bearings can accommodate higher speeds and heavier loads, compared to high-speed B design bearings. Bearing series The assortment of super-precision bearings presented in this brochure includes two ISO dimension series: • the extremely light 19 series • the light 10 series Bearings in both these series are suitable for very high operational speeds and where there is tight radial mounting space. Bearing variants Based on the operating conditions in precision applications, bearing requirements can vary. As a result, there are many variants of SKF super-precision angular contact ball bearings in the 719 .. E (VEB) and 70 .. E (VEX) series to choose from. Series comparison When increased system rigidity is required, bear72 shaft ings in the 719 series accommodate a larger 70diameter, compared diameter for a719 given outside 718 to bearings in the 70 series. • a 15° contact angle, designation suffix CE (1) • a 25° contact angle, designation suffix ACE (3) Bearings with an 18° contact angle, designation suffix FE (2), are available on request. With three contact angles to choose from, designers can optimize their application based on axial load, speed and rigidity requirements. A larger contact angle provides a higher degree of axial stiffness and a higher axial load carrying capacity. However, this reduces speed capability. Three contact angles accommodate different axial load, speed and rigidity requirements. • steel balls, no designation suffix • ceramic (bearing grade silicon nitride) balls, designation suffix HC (/NS) As ceramic balls are considerably lighter and harder than steel balls, hybrid bearings can provide a higher degree of rigidity and run considerably faster than comparably sized all-steel bearings. The lower weight of the ceramic balls reduces the centrifugal forces within the bearing and generates less heat. Lower centrifugal forces are particularly important in machine tool applications where there are frequent rapid starts and stops. Less heat generated by the bearing means less energy consumption and longer bearing and grease service life. Sealed bearings Bearings in most sizes can be supplied with an integral seal fitted on both sides and filled with premium grease. The seal forms an extremely narrow gap with the cylindrical surface of the inner ring shoulder. When compared to bearing arrangements with open bearings and external seals, those with sealed bearings provide a number of advantages including: • extended bearing service life • reduced need for maintenance • reduced inventory • reduced risk of lubricant contamination during mounting and operation Sealed bearings are identified by the designation prefix S (suffix /S). Bearings in the 719 .. E (VEB) and 70 .. E (VEX) series can be supplied with rings made from NitroMax steel. NitroMax is a new generation high-nitrogen stainless steel with superior corrosion resistance, enhanced fatigue strength and a high degree of impact toughness. This ultraclean steel can extend bearing service life in applications under good (full-film) as well as critical (thin-film) lubrication conditions. Standard bearings made from NitroMax steel are supplied with ceramic balls. The combined properties of the NitroMax steel rings and ceramic balls greatly improve bearing performance, enabling these bearings to run several times longer than conventional hybrid bearings. Sealed hybrid bearings made from NitroMax steel are identified by the designation prefix SV (suffix /S/XN). To accommodate direct oil lubrication, the outer ring of open bearings can be manufactured with two lubrication holes. Add­ itional features are available, depending on the bearing series and size. in the 70 .. E (VEX) series with a bore diameter d = 6 to 9 mm do not have seal grooves in the outer ring, as shown in the illustration above. Applications Machine tool applications, such as highspeed milling machines, machining centres and grinding machines, require high pos­ itioning accuracy and low levels of heat generation. The ability of bearings in the 719 .. E (VEB) and 70 .. E (VEX) series to meet these requirements and still provide a high degree of rigidity at very high oper­ ational speeds, makes them an excellent solution for these and similar applications. In the highly contaminated environment of a machine tool spindle, one of the pri­ mary causes of premature bearing failure is the ingress of solid contaminants and/or cutting fluid into the bearing cavity. To elim­ inate this problem, sealed bearings in the S719 .. E (VEB .. /S) and S70 .. E (VEX .. /S) series are an excellent solution. Where maximum speeds are required, bearing variants for direct oil lubrication combined with ceramic balls provide optimum performance. Bearing arrangement design Bearing arrangements using SKF superprecision angular contact ball bearings in the 719 .. E (VEB) and 70 .. E (VEX) series can be designed using single bearings or bearing sets. An example of the ordering possibilities for a three-bearing arrangement is provided in table 1. Single bearings Bearings in the 719 .. E (VEB) and 70 .. E (VEX) series are available as single (standalone) bearings or single, universally matchable bearings. When ordering single bearings, indicate the number of individual bearings required. Single, universally matchable bearings Universally matchable bearings are specif­ ically manufactured so that when mounted in random order, but immediately adjacent to each other, a given preload and/or even load distribution is obtained without the use of shims or similar devices. These bearings can be mounted in random order for any desired bearing arrangement. Single, universally matchable bearings are available in three preload classes and are identified by the designation suffix G (U). Bearing sets Bearings in the 719 .. E (VEB) and 70 .. E (VEX) series are available as matched bearing sets or as sets of universally matchable bearings. When ordering bearing sets, indicate the number of bearing sets required (the number of individual bearings per set is specified in the designation). Matched bearing sets Bearings can be supplied as a complete bearing set consisting of two, three or four bearings. The bearings are matched to each other during production so that when mounted immediately adjacent to each ­other, in a specified order, a given preload and/or even load distribution is obtained without the use of shims or similar devices. The bore and outside diameters of these bearings are matched to within a maximum of one-third of the applicable permitted diameter tolerance, resulting in an even better load distribution when mounted, compared to single, universally matchable bearings. Matched bearing sets are available in three preload classes for symmetrical bearing arrangements and six preload classes for asymmetrical bearing arrangements. additional information about designations, refer to table 17 on pages 32 and 33.
one-third of the applicable permitted diameter tolerance, resulting in an even better load distribution when mounted, compared to single, universally matchable bearings. Sets of universally matchable bearings are available in three preload classes. Like single, universally matchable bearings, sets of universally matchable bearings are identified by the designation suffix G (U), but their positions in the designation differ († table 1). act in the opposite direction, or if combined loads are present, additional bearing(s) adjusted against the tandem arrangement should be added. Type of arrangement Universally matchable bearings and matched bearing sets can be arranged in various configurations depending on the stiffness, rigidity and load requirements of the application. The possible configurations are shown in fig. 1, including the designation suffixes applicable to matched bearing sets. Application examples Super-precision angular contact ball bearings are common in, but not limited to, machine tool spindles. Depending on the type of machine tool and its intended purpose, spindles may require different bearing arrangements. When very high operational speeds are required, as is the case for high-speed machining centres, milling operations and grinding applications, there is typically a compromise between rigidity and load carrying capacity. For many of these applications, there is an optimal bearing arrangement using bearings in the 719 .. E (VEB) and 70 .. E (VEX) series to provide the best possible combination of rigidity, load carrying capacity, heat generation and bearing service life. These bearings also enable the design of compact bearing arrangements, which is beneficial where radial space is limited. Turbomolecular pump In turbomolecular pumps, high-speed ­capability, low vibration levels and long service life are stringent ­operational requirements. This greaselubricated pump uses two hybrid super-­ precision angular ­contact ball bearings, arranged face-to-face, e.g. 7002 CE/HCP4A (VEX 15 /NS 7CE1). The rotor shaft bearings are preloaded with spring washers. Electro-spindle in a horizontal machining centre Machining centres typically operate at high speeds, under relatively high loads. In this spindle, the tool end has a matched set of four super-precision angular contact ball bearings mounted in a tandem back-to-back arrangement, e.g. 7014 CE/P4AQBCA (VEX 70 7CE1 TDTA), separated by a set of precision-matched spacer rings. Each bearing is lubricated with oil-air via a separate nozzle. A super-precision ­single row cylindrical roller bearing, e.g. N 1011 KPHA/SP, is at the non-tool end. Electro-spindle for an internal grinding machine A high-speed internal grinding machine requires a high degree of system rigidity. Often, radial space is limited. This spindle has two tandem pairs of ­super-­precision angular contact ball bearings, mounted in a back-to-back arrangement, e.g. 71912 CE/P4ADT (VEB 60 7CE1 T) and 71908 CE/P4ADT (VEB 40 7CE1 T). The bearings at the non-tool end are preloaded with springs. Horizontal machining centre This spindle, which operates at very high speeds, uses a matched set of four super-precision angular contact ball bearings mounted in a tandem back-to-back arrangement, e.g. 71922 CE/P4AQBCA (VEB 110 7CE1 TDTL), separated by a set of precision-matched spacer rings. The non-tool end has a matched set of high-precision angular contact ball bearings mounted back-to-back, e.g. 7015 CD/P4ADBB (EX 75 7CE1 DDM). The technical specifications of the grease are provided in table 2.
procedures, refer to the SKF Interactive Engineering Catalogue available online at www.skf.com. Oil lubrication Oil lubrication is recommended for open bearings in the 719 .. E (VEB) and 70 .. E (VEX) series where very high speeds preclude the use of grease as a lubricant. vents particles > 5 μm from reaching the bearings should also be incorporated. • Bearings with lubrication holes manufactured on the thicker bearing shoulder side enable the lubricant to be supplied very close to the ball/raceway contact areas. 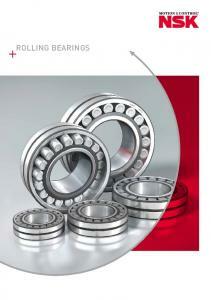 These bearings can therefore be used to achieve maximum speeds. • To prevent lubricant leakage between the bearing outside diameter and the housing bore, bearings fitted with O-rings in the outer ring are an excellent solution as no additional machining is required. When bearings without this sealing feature are used, SKF recommends machining the housing bore and incorporating O-rings into the bearing arrangement design († fig. 2). • Bearings with an annular groove in the outer ring that coincides with the two lubrication holes enable a more reliable supply of lubricant through the outer ring, compared to those without an annular groove. The principal dimensions of SKF superprecision angular contact ball bearings are in accordance with ISO 15:2011: • Boundary dimensions for bearings in the 719 .. E (VEB) series are in accordance with ISO dimension series 19. • Boundary dimensions for bearings in the 70 .. E (VEX) series are in accordance with ISO dimension series 10.
accordance with ISO 15:2011. The values for the chamfers on the non-thrust side of the outer ring are in accordance with ISO 12044:1995. For bearings in the 70 .. E (VEX) series, the values for the chamfers on the inner ring and thrust side of the outer ring are in accordance with ISO 15:2011. The values for the chamfers on the non-thrust side of the outer ring are in accordance with ISO 12044:1995. The appropriate maximum chamfer limits are in accordance with ISO 582:1995. Table 1 Class P4A tolerances Inner ring d over incl. A single super-precision angular contact ball bearing does not have any preload. Preload can only be obtained when one bearing is placed against another to provide location in the opposite direction. Class PA9A tolerances Inner ring d over incl. In applications where maximum operational speeds are required, one of the following preload classes should be selected: • class L, reduced light preload for ­asymmetrical bearing sets • class M, reduced moderate preload for asymmetrical bearing sets • class F, reduced heavy preload for ­asymmetrical bearing sets As indicated, these preload classes are only available for matched bearing sets that are asymmetrical i.e. for TBT (TD), TFT (TF), QBT (3TD) and QFT (3TF) arrangements. Bearing sets in the L, M or F preload class, consisting of three or four bearings, have the same preload as sets with two bearings in the A, B or C preload class. Therefore, the preload for matched bearing sets that are asymmetrical i.e. for TBT (TD), TFT (TF), QBT (3TD) and QFT (3TF) arrangements, can be obtained directly from table 4. An example of the various preload possibilities for the bearing 7014 CE/P4A is provided in table 5 on page 22. Bearing sets with a special preload can be supplied on request. These bearing sets are identified by the designation suffix G followed by a number. The number is the mean preload value of the set expressed in daN. Special preload is not applicable for sets of universally matchable bearings consisting of three or more bearings (suffixes TG and QG). is also applicable to sealed bearings. Data for bearings with an 18° contact angle is available on request. Note: For symmetrical arrangements, preload class A = preload class L e.g. the designation suffix DBL does not exist. Considerably tighter fits may be necessary, for example for very high speed spindles, where centrifugal forces can loosen the inner ring from its seat on the shaft. These bearing arrangements must be carefully evaluated. Preload by axial displacement Rigidity and precise axial guidance are crit­ ical parameters in bearing arrangements, especially when alternating axial forces occur. As a result, the preload in the bearings is usually obtained by adjusting the bearing rings relative to each other in the axial direction. This preload method offers significant benefits in terms of system rigidity. However, depending on the bearing series, contact angle and ball material, preload increases considerably with rotational speed. Universally matchable bearings and matched bearing sets are manufactured so that when mounted properly, they will attain their predetermined axial displacement and consequently the proper preload. With single bearings, precision-matched spacer rings must be used. under load. They should be made of highgrade steel that can be hardened to between 45 and 60 HRC. Particular importance must be given to the plane parallelism of the side face surfaces, where the permissible shape deviation must not exceed 2 μm. For hybrid bearings, the axial stiffness can be calculated in the same way as for allsteel bearings. However, the calculated ­value should then be multiplied by a factor of 1,11 (for all arrangements and preload classes). Data is also applicable to sealed bearings. Load carrying capacity Equivalent bearing of bearing sets loads The values listed in the product tables for the basic dynamic load rating C, the basic static load rating C0 and the fatigue load limit Pu apply to single bearings. For bearing sets, the values for single bearings should be multiplied by a calculation factor according to table 13.
where P = equivalent dynamic load of the bearing set [kN] Fr = radial component of the load acting on the bearing set [kN] Fa = axial component of the load acting on the bearing set [kN] The values for the calculation factors e, X, Y, Y1 and Y2 depend on the bearing contact angle and are listed in tables 14 and 15. For bearings with a 15° contact angle, the factors also depend on the relationship f0Fa/C0 where f0 is the calculation factor and C0 is the basic static load rating, both of which are listed in the product tables. Note: Data for bearings with an 18° contact angle is available on request. For single bearings and bearings paired in tandem P0 = 0,5 Fr + Y0Fa For bearing pairs, arranged back-to-back or face-to-face P0 = Fr + Y0Fa where P0 = equivalent static load of the bearing set [kN] Fr = radial component of the load acting on the bearing set [kN] Fa = axial component of the load acting on the bearing set [kN] If P0 < Fr , P0 = Fr should be used. The values for the calculation factor Y0 depend on the bearing contact angle and are listed in tables 14 and 15. The attainable speeds listed in the product tables should be regarded as guideline ­values. They are valid for single bearings under light load (P ≤ 0,05 C) that are lightly preloaded with springs. In addition, good heat dissipation from the bearing arrangement is a prerequisite. As there is no friction generated at the seal lip, the attainable speed of a sealed bearing is equivalent to a comparably sized open bearing. The values provided for oil lubrication apply to the oil-air lubrication method and should be reduced if other oil lubrication methods are used. The values provided for grease lubrication are maximum values that can be attained with sealed bearings or open bearings with good lubricating grease that has a low consistency and low viscosity. Sealed bearings in the S719 .. E (VEB .. /S) and S70 .. E (VEX .. /S) series are designed for high-speed operation i.e. for a speed factor A up to approximately 2 000 000 mm/min. If single bearings are adjusted against each other with heavier preload or if bearing sets are used, the attainable speeds listed in the product tables should be reduced, i.e. the values should be multiplied by a reduction factor. Values for this reduction factor, which depend on the bearing arrangement and preload class, are listed in table 16. If the rotational speed obtained is not sufficient for the application, precision-matched spacer rings in the bearing set can be used to increase the speed capability. Cage Bearings in the 719 .. E (VEB) and 70 .. E (VEX) series have a one-piece outer ring shoulder-guided cage made of fabric re­ inforced phenolic resin († fig. 3) that can withstand temperatures up to 120 °C. Seals The integral seals in sealed S719 .. E (VEB .. /S) and S70 .. E (VEX .. /S) series bearings are designed for a speed factor A up to approximately 2 000 000 mm/min. The permissible operating temperature range of the seals is –25 to +100 °C and up to 120 °C for brief periods. The rings and balls of all-steel bearings in the 719 .. E (VEB) and 70 .. E (VEX) series are made from SKF Grade 3 steel, in accordance with ISO 683-17:1999. Balls of hybrid bearings are made of bearing grade silicon nitride Si3N4. The rings of sealed hybrid bearings, designation prefix SV (suffix /S/XN), are made from NitroMax, a high-nitrogen stainless steel. The integral seals in sealed bearings are made of an oil-and wear-resistant acrylonitrile-butadiene rubber (NBR) and are re­ inforced with sheet steel. The O-rings of bearings for direct oil lubrication with a ­designation suffix L (GH) and L1 (G1), are also made of acrylonitrile-butadiene rubber. Heat treatment All SKF super-precision bearings undergo a special heat treatment to achieve a good balance between hardness and dimensional stability. The hardness of the rings and rolling elements is optimized for wear-resistance. A “V-shaped” marking on the outside surface of the outer rings of matched bearing sets indicates how the bearings should be mounted to obtain the proper preload in the set. The marking also indicates how the bearing set should be mounted in relation to the axial load. The “V-shaped” marking should point in the direction in which the axial load will act on the inner ring († fig. 5). In applications where there are axial loads in both directions, the “V-shaped” marking should point toward the greater of the two loads. Designation system The designations for SKF bearings in the 719 .. E (VEB) and 70 .. E (VEX) series are provided in table 17 on page 32 ­together with their definitions. in the 719 .. E (VEB) series are only available for bore diameters starting at d = 8 mm. additional information, contact the SKF application engineering service. Report "Super-precision angular contact ball bearings: High-speed, E design E (VEB) and 70.. E (VEX) series"